Russia is unlike any other country on the planet. They are the one country that could wipe the United States off the face of the Earth in 45 minutes. Russia currently has the largest arsenal of nuclear warheads in the world, with 8,000 weapons in their arsenal (the U.S has up to 7,315). Yet with the rhetoric that the United States has been using against Russia as of late, you wouldn't realize this. The former President of the United States, Barack Obama, dismissed Russia as a merely "regional power acting out of weakness (Washington Post, 3-25-14)." With the world's largest number of nuclear weapons, do they really look like just "a regional power?" We think not. Such remarks represent a very disturbing disconnect with reality. These dangerous ideas are part of a mind set being promoted by neo-conservative ideologues calling for a world imperial dominion by America. They are being supported by "Democratic" foreign policy leaders like Clinton, Susan Rice, Samantha Power, and Robert Kagan. Former Cheney aide, Victoria Nuland, the wife of Robert Kagan, was promoting a new Cold War from her position in Obama's State Department in charge of all European affairs. Relations between Russia and the United States are currently at their worst point in 20 years. The specter of a nuclear war between these two global super powers is actually greater today than it was during the Cold War. At least during the Cold War there were security mechanisms put into place in an effort to prevent such a disaster, and the possibility of said disaster was discussed quite openly unlike today. Can the United States afford to continue with its current aggressive stance towards Russia over the conflict in Ukraine? Do we really want to destroy our hard earned peace with Russia, especially at a time when America is digging its way out of a financial crisis and is already involved in several wars around the globe? In asking ourselves if we are really ready for World War III, we must understand that there will very likely be the possibility of nuclear war. Now this may sound very extreme. We would like to think that all reasonable nations would do everything in their power to avoid such a nightmare. However, we must consider the reality that both Russia and the United States have the largest collection of nuclear warheads on the planet. In such a conflict, the incentive to nuke the enemy first, before they nuke you, is very real. So how long could the United States and Russia really engage in hostilities with one another before someone finally pushes the button? After all, the United States did nuke two Japanese cities in the name of ending World War II. It is naive to pretend that such a thing could not happen again in the name of ending some future conflict. It is also arrogance to believe that such an atrocity could not find its way to American soil when push comes to shove. So should politicians in Washington be cheering on a conflict with Russia? America is powerful, but we are not invincible. Are we really ready as a nation for a nuclear war? Look at the pictures and material below to decide for yourself. Pakistan, India and Israel currently do not have nukes that are capable of attacking the United States; however, India is currently working on one that feasibly would be able to do such a thing. AFTER JUST ONE 800 KT RUSSIAN BOMB (TOPOL SS-25)? If the United States were to be attacked by a nuclear super power, the most likely target would be our nation's capital, Washington D.C. So what would the results of such an attack look like? Most of the federal government's physical presence would be obliterated. The White House, the Treasury Department and the Old Executive Office Building would be vaporized instantly. The Capitol would be in ruins. The National Mall would be a pile of scorched earth. And of course, many square miles of residential blocks would be exposed to shock waves and flying debris. 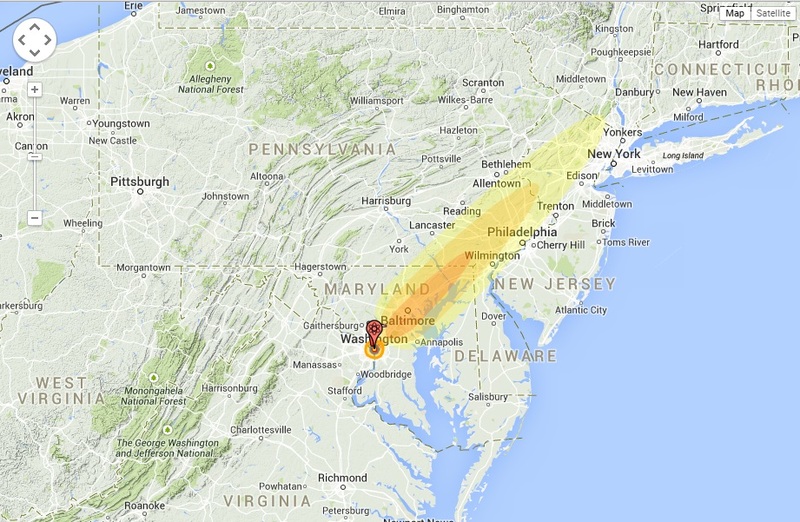 The map above shows the results of an 800 (kt) Russian Bomb (Topol SS-25) striking the heart of D.C. We decided to use this bomb in this imagined scenario, because it is an example of one that is currently in Russia's arsenal. The map depicts the results of a surface burst, the fatalities, the damage experienced by the people living within the radius of the burst and the resulting radiation fall out. Those within the center of the 800 (kt) blast would be killed instantly and those within a 9 km (5 miles) radius would suffer 3rd degree burns, horrible disfigurement and would most likely be disabled for life. This is not to mention that the nuclear fall out from just one 800 (kt) bomb would travel up the east coast all the way up to New York. While it is more likely that a nuclear attack would be carried out with a series of smaller bombs in a concentrated area, the damage would be about the same. The death toll listed above is half a million, but we believe this death toll would end up being much higher after the attack, as a result of both radiation poisoning and the chaos unleashed by political destabilization. In the D.C. region alone, we could expect to see more than 2 million dead. WHAT WOULD HAPPEN IF YOUR NEIGHBORHOOD WERE TO GET NUKED? The link above connects to an interactive map tool called "Nuke Map." Think of this tool as a Google Maps that plots out the results of a nuclear strike on any location on the planet, while allowing the user to configure the yield of the nuclear warhead and the height of the burst. This tool also will describe the number of fatalities and the spread of the nuclear fall out. Nuke Map is a very useful device in helping internet users understand the lethal reality of nuclear weapons. This isn't fiction. It's a dangerous reality that we should take quite seriously. HAS AMERICA GIVEN RUSSIA A REASON TO TRUST US? Peace between Russia and the United States is crucial to national and global security. After the Cold War ended in 1991, the United States emerged as the world's foremost military, political and economic super power. The peace won with Russia was a geopolitical master strike for the United States. A period of peace and prosperity for the U.S. flourished and there were few realistic threats to national security from other forces around the globe. Not to mention that the greatest victory of all was avoiding an all out nuclear war. So in looking at the successful results for the United States, one would think that maintaining peace with Russia would be a key priority. Yet this is not so. Has the United States given Russia a reason to trust us? The former ambassador to the U.S.S.R. Jack Matlock thinks not. On February 11th, 2015, he gave a speech to the National Press Club in which he criticized U.S. policy on Russia. In his speech he described how former President Reagan won the trust of soviet leadership in order to bring an end to the Cold War and its risk of nuclear armageddon. Matlock made the point that Reagan's successors have done a thorough job of destroying this trust. One serious mistake was when President Bush pulled out of the AMB treaty that was signed in 1972 (New York Times, 2001). Russian president Putin called this move a serious mistake. Bush's actions in this matter added further stress to the relations between Russia and the U.S. This puts nuclear war on a hair trigger, creating incentives for immediate action in a crisis. How can the Russian government trust Washington when Washington has violated very specific American promises against eastern NATO expansion having moved NATO into Eastern Europe and placed military bases near Russia’s borders? 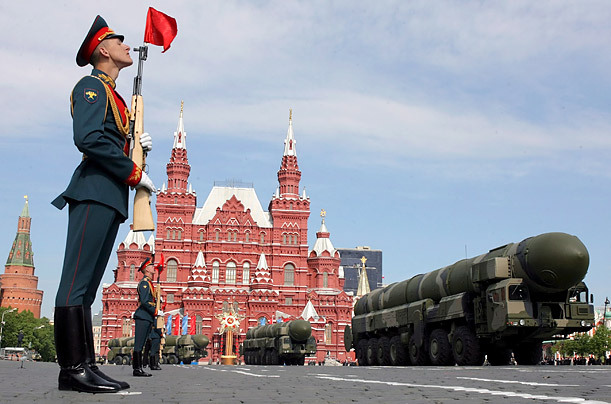 How can the Russian government trust Washington when Washington pulls out of the Anti-Ballistic Missile Treaty and places Anti-Ballistic Missiles near on Russia’s border? How can the Russian government trust Washington when Washington overthrows in a coup the elected government of Ukraine and installs a puppet regime that immediately expresses hostility toward Russia and the Russian-speaking population in Ukraine and destroys Soviet war memorials commemorating the Red Army’s liberation of Ukraine from Nazi Germany? How can the Russian government trust Washington when the President of Russia is called every name in the book, including “the new Hitler,” and gratuitously accused of every sort of crime and personal failing by leading US political and media figures such as Hillary Clinton? America has recently presided over the installation of anti-ballistic missiles (also known as a Ballistic Missile Defense system) in Romania, and has plans to put a similar system in Poland in 2018. The system, called Aegis Ashore, was essentially transferred from a seaborne launchpad onto land in Romania. Now America has defended this decision with claims that these missiles are protecting against the "Iranian nuclear threat." Robert Work, the deputy United States defense secretary, has said that there are "no plans at all" to strengthen this missile umbrella to protect against Russia. (New York Times). But Putin has responded, "What Iranian nuclear threat?" Given the agreement that Obama has recently made with Iran, the possibility of Iran being a "nuclear threat" has gone down to zero. Now some may say, "What's the big deal?" "This is a defensive measure." Putin has made the argument that such structures get in the way of Russia's ability to retaliate against a nuclear strike from NATO states. Russia perceives this as a threat to the global balance of power, and has made the argument that this allows NATO countries to attack Russia with nuclear missiles without fear of retribution — thus increasing the likelihood of such an attack. Putin has also made the argument that these defensive devices can be easily shifted to ones with an offensive capability. Lets put aside the actual missile ‘defense’ issue but those capsules into which ‘anti-missiles’ are inserted, as I’ve mentioned, they are sea based on warships which can carry the Tomahawk subsonic cruise missile system. One could deploy it to position in a matter of hours and then what kind of “anti-missile” system is that? How do we know what kind of missile is in there? All you have to do is change the program! (non-nuclear to nuclear). That’s all it would take. This would happen very quickly and even the Romanian government itself won’t know what’s going on. Do you think they let the Romanians call any shots? Nobody is going to know what is being done-not the Romanians, and the Polish won’t either. Do you think I’m not familiar with their strategies? So Putin is making the argument that the software in these structures can be changed, allowing them to be loaded with offensive missiles. A counter argument to this claim has been that the Intermediate-Range Nuclear Forces Treaty of 1987 treaty has eliminated all nuclear and conventional missiles, as well as their launchers, with ranges of 500-1000 km (short range), as well as the 1,000-5,500 km (intermediate-range) launchers. The treaty did not cover sea-launched missiles. However, Putin's view is that if America was willing to pull out of the ABM treaty of 1972, it's not that unlikely that America could eventually pull out of the Intermediate-Range Nuclear Forces Treaty as well. Putin himself has said that either Romania — and subsequently Poland — will cancel and nullify their cooperation with U.S. President Obama's ABM installation, or else there will be a surgical strike by Russia against such installation(s), even though that would likely produce a nuclear attack against Russia by NATO, and a counter-strike nuclear attack by Russia against NATO. The current Ukraine crisis has dramatically damaged relations between NATO and Russia, and there is a disturbing lack of trust between these two entities. Russia's former minister of foreign affairs Ivanov has stated, "In the Cold War, we created mechanisms of security. A huge number of treaties and documents helped us to avoid a big and serious military crash. Now the threat of a war is higher than during the Cold War." Digest that fact for a moment, the threat of war is higher today than it was during the cold war. 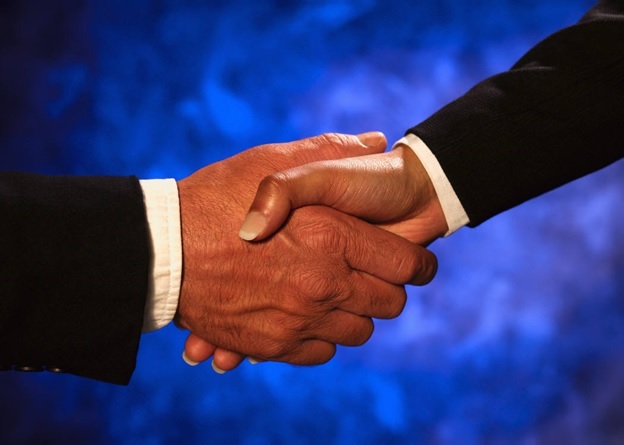 Trust is the most important mechanism in preventing a catastrophe. A five minute phone call between two heads of state could be the difference between the life and death of millions of people. Yet with threat levels rising, the question is whether Russia would indeed take that phone call. In 1995 for example, Norwegian and American researchers fired a rocket into the skies of northwestern Norway to study the northern lights. However, the four stage rocket flew directly through the same corridor that American Minutemen III missiles, equipped with nuclear warheads, would use to travel from the United States to Moscow. The Russian military was placed on high alert, and then President Boris Yeltsin activated the keys to launch nuclear weapons. He had less than 10 minutes to decide whether to issue the order to fire. Yet President Yeltsin left the Russian missiles in their silos, because relations between Russia and the United States were relatively trusting in 1995. But U.S arms expert Theodore Postol warned recently if a similar incident occurred today, the results would be nuclear war. This distrust between the West and Russia has had a massive effect on security matters. In November 2014, the Russians announced that they would boycott the 2016 Nuclear Security Summit in the United States. In December, the US Congress voted, for the first time in 25 years, not to approve funding to safeguard nuclear materials in the Russian Federation. A few days later, the Russians terminated cooperation in almost all aspects of nuclear security. The two sides have cooperated successfully for almost two decades. But now such teamwork is a thing of the past. The United States and Russia should be taking every effort to disarm their massive arsenals, but instead both nations are investing giant sums of money to modernize their nuclear arsenals, and NATO recently announced that it was rethinking its nuclear strategy. President Obama’s budget for fiscal 2016 seeks $8.8 billion for the nuclear weapons programs run by the National Nuclear Security Administration. That figure is up almost 10.5 percent from this year’s congressionally approved figure and is projected to continue to grow. By 2020, the NNSA’s spending on nuclear weapons activities would hit $9.8 billion, according to the agency’s budget projections. That’s high for any administration. SOLUTIONS FOR A BETTER RELATIONSHIP BETWEEN RUSSIA AND THE U.S. 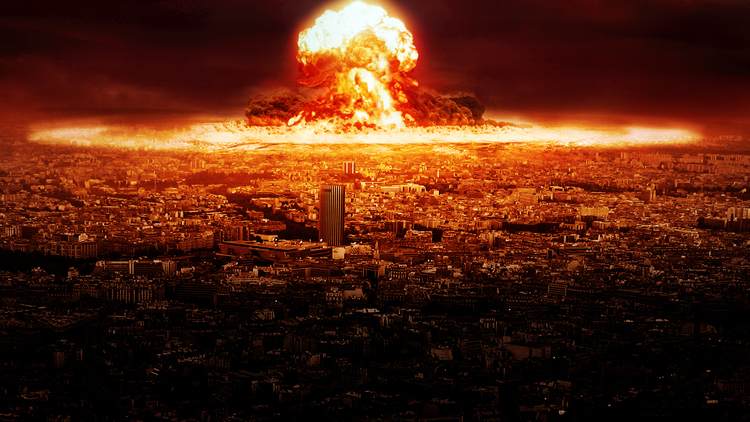 Yes, a conflict between the United States and Russia could ultimately unleash a nuclear war. Yet there is still hope for peace. At World Future Fund, we have put together a solution for creating a lasting peace in Ukraine. This solution involves using two ideas that America claims to support: peace and democracy. It is time to mobilize an international plebiscite to help the people of Ukraine determine their own future. Many people in the West do not understand that the modern state of Ukraine is a completely artificial creation by the German occupation in World War I and the Soviet Union. It contains huge numbers of former Russian territories. In the case of Crimea, over 90% of its people voted to join Russia. There is a large population of ethnic Russians on Ukraine's eastern border who feel that they are being oppressed by Ukraine's current government and have a desire to separate and join Russia much like Crimea did last year. At World Future Fund, we are not pacifists. But we do not favor any kind of action that would jeopardize the security of the U.S. - if not the entire world. It is time to help the citizens of Ukraine determine their own future in a peaceful way. It is time for some sanity between the world's greatest nuclear superpowers. And if this doesn't happen? Perhaps you should play around with NukeMap more to see a vision of the future that awaits you.